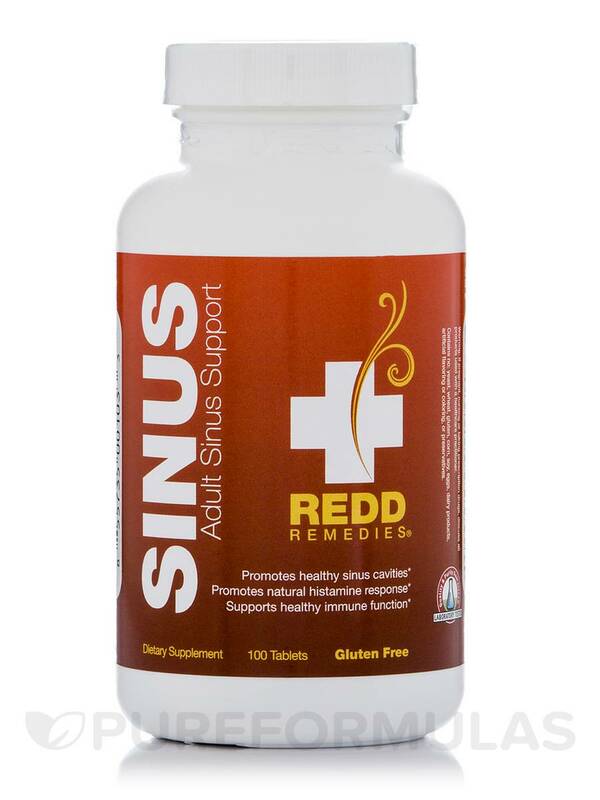 Our company orders Adult Sinus Support by Redd Remedies every winter/flu season. Works like a charm! 1- Immune system—modifies the release of histamine‚ which results in normal mucosal secretions and healthy immune function. 2- Respiratory system—works to balance the function of the sinus and bronchial systems and clears and soothes the mucus membranes of the sinuses and the lungs. 3- Digestive system—helps to restore the balance of good bacteria in the digestive tract and to maintain healthy immune function. 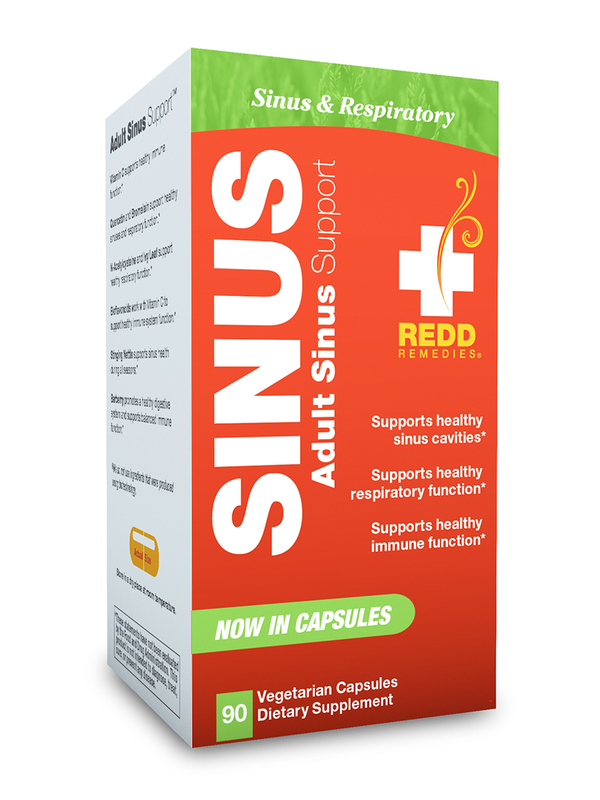 1- Adult Sinus Support™ ingredients are supported by thousands of years of tradition and backed by science to support healthy sinus‚ bronchial‚ & immune function. 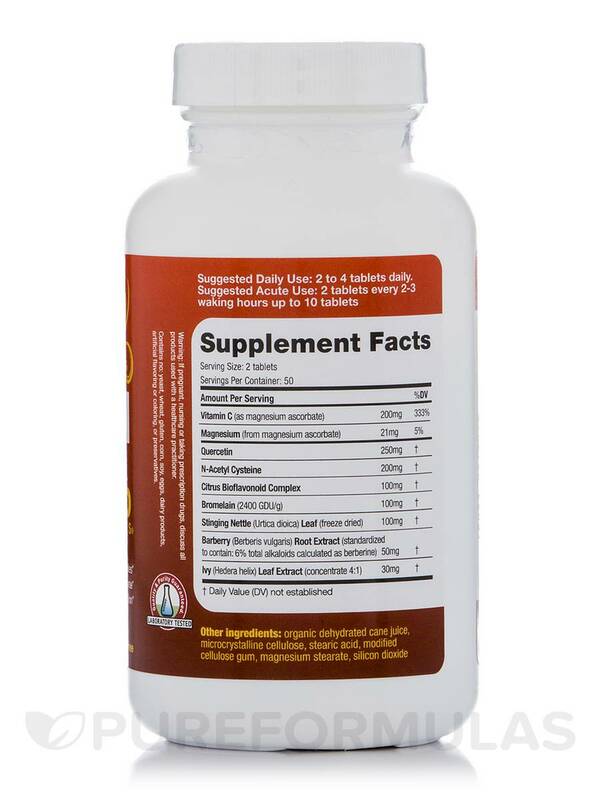 2- Vitamin C promotes a normal histamine response and healthy immune function. 3- Quercetin has been shown to promote normal histamine levels in the body. 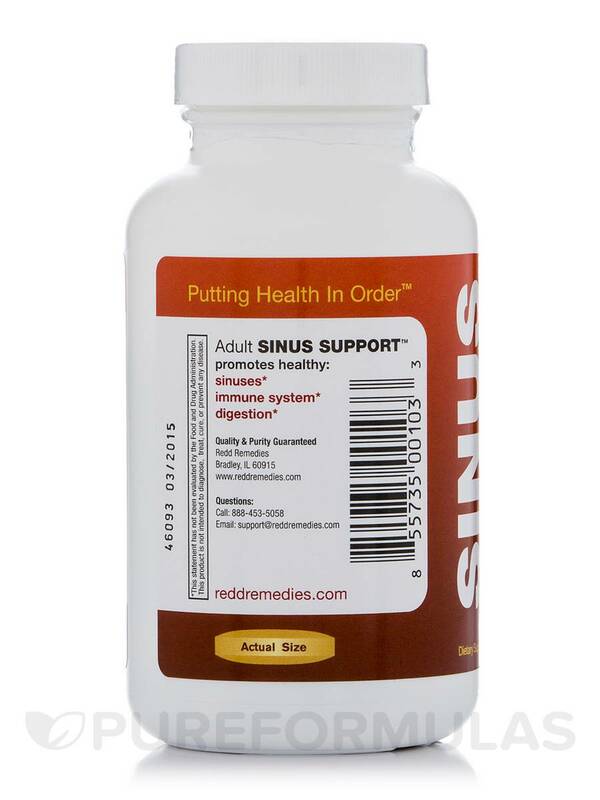 4- N-Acetyl Cysteine thins mucus secretions of the lungs and bronchial system. 5- Bioflavonoids promote a normal inflammatory response in the sinus cavities and healthy immune system function. 6- Bromelain thins mucus secretions and helps clear the airways. 7- Stinging Nettle supports a healthy inflammatory response and promotes sinus health during all seasons. 8- Barberry promotes a healthy digestive system and promotes healthy immune system function. 9- Ivy Leaf promotes healthy mucus membranes and defends the bronchial and lung passageways against occasional irritation. Other ingredients: organic dehydrated cane juice‚ microcrystalline cellulose‚ stearic acid‚ modified cellulose gum‚ magnesium stearate‚ silicon dioxide. Acute Use: Take 2 tablets every 2-3 waking hours up to 10 tablets.